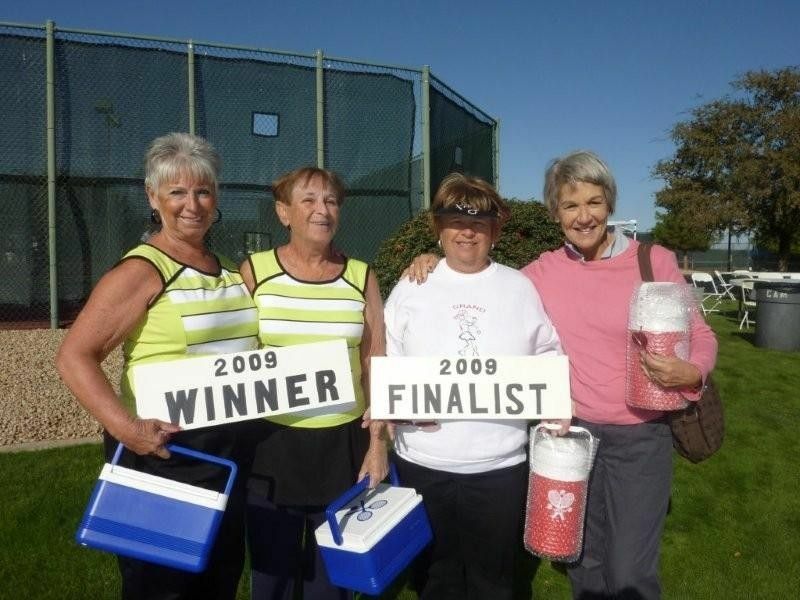 The Grand Tennis Club at Sun City Grand hosted the 7th Annual Shine in the Sun Senior Tennis Tournament November 11th thru the 15th. There were 102 teams participating. The Tournament directors, Jill Kirkpatrick and Gayle Wegner, would like to thank Cigna Healthcare of America, Wealth Management Int. Ltd, Tennis Cabana, Credit Union West and Ken Meade Realty for their support. They would also like to thank Next Level Rehab for making massages available for the players and the Grand Tennis Club Volunteers for all their time. The Grand Tennis Club and their committees are looking forward to next year when they can invite everyone back to participate in five great days of tennis.